I already know that this post will make discuss. There are “Street Photographers” thinking that Street Photography must be made only in the streets. I think, indead, that we can make Street Photography everywhere. Because like i repeat often this genre is above all a matter of aesthetics. For me Street Photography is essentially documenting the human condition through a candid approach. We could represent also people familiar to us with a Street Photography aesthetics. So, for me Street Photography is a genre very vast, certainly not limited to the street. Above you can see two photographs that i took indoor, but also the example from the masters can help us. 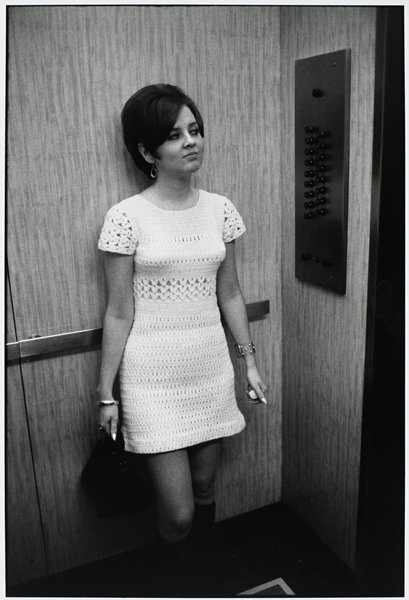 This is the famous “woman in elevator” of a certain Garry Winogrand. But the examples are many. Great Street Photographs were and are realized in subways, in museums, in stores, in nightclubs. Obviously, it is clear that we must not take literally the definition of Street Photography and also this represents a difficulty for some.